Lexington Family Practice celebrates 40 years of helping families stay healthy. Life can be really busy for a family. Between a career, school, kids’ activities and taking care of your house, there isn’t much time left in the day for anything else. That’s where Lexington Family Practice, a Lexington Medical Center physician practice, can simplify things. With practices around the Midlands including a conveniently located Northeast Columbia location, Lexington Family Practice can provide comprehensive health care for your whole family in the same place. Lexington Family Practice offers a range of services including mobile mammography, digital CAT scan, X-ray, labs, physicals and treatment for all ages including newborn babies. Knowing and understanding each family member’s health history and background helps clinicians provide the most outstanding care. Lexington Family Practice has been taking care of our community for generations. In fact, this year, the practice is celebrating its 40th anniversary. 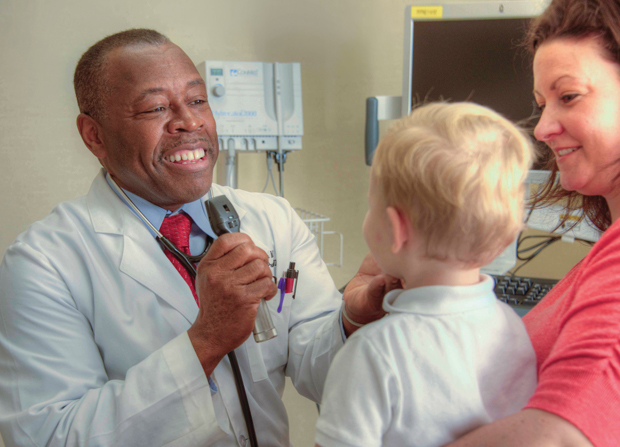 From a two-provider practice in a small office in Lexington in 1976 to a network of 30 physicians in eight locations around the Midlands today, Lexington Family Practice has maintained a tradition of taking excellent care of parents, children and grandchildren. When Lexington Family Practice began, the Midlands did not have a lot of family physicians. But the need for them was clear as the doctors began to see dozens of patients each day. From the beginning, Lexington Family Practice wanted to provide innovative health care. The practice was one of the first in the area to offer weekend hours and weekend clinics for “urgent care” patients before urgent care centers ever existed; and it was one of the first family practice offices to offer echocardiograms. The work also included medical care that other specialties often see today, including taking care of a high percentage of pediatric patients. They earned a solid reputation that led to expansions over the years with the practice opening locations in Ballentine, Irmo, Lake Murray, Northeast Columbia, Otarre Pointe, West Columbia and White Knoll. Lexington Family Practice became part of Lexington Medical Center’s Network of Care in 1998. The practice has received national accolades for its successful management of high blood pressure and diabetes in patients. For more information about Lexington Family Practice locations and providers, visit Lexmed.com/PhysicianPractices.